A new study published in the Journal of Alzheimer’s Disease shows promise that vitamin D-3 and Curcumin (from the turmeric root) may boost the immune system and help it clear the beta-amyloid protein plaques linked to Alzheimer’s. The direct and indirect cost of Alzheimer care in the United States is over $100 Billion dollars, while direct costs in the UK are estimated at $31 Billion dollars. “We hope that vitamin D3 and curcumin, both naturally occurring nutrients, may offer new preventive and treatment possibilities for Alzheimer’s disease,” said Dr Milan Fiala from the University of California Los Angeles (UCLA). Live to be 150, Can You Do It? 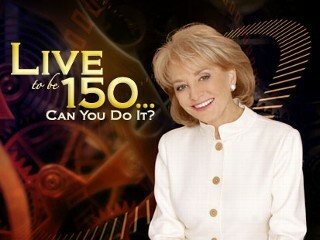 Barbara Walters, the doyenne of investigative tv journalism, broke the news on Resveratrol in April 2008 when she interviewed Dr. David Sinclair, co-founder of Sirtris Pharmaceuticals and professor at Harvard Medical School, in her news special on aging, Live to be 150, Can You Do it? Dr. Sinclair and his research colleagues discovered the amazing anti-aging capacities in Resveratrol, a substance naturally ocurring in red wine grapes, pomegranates and other foods. In their clinical trials, Resveratrol is showing promise in fighting Type-2 Diabetes, one of the most crippling diseases afflicting millions and millions around the world. This is an interview everyone should see to learn about the power of mother nature over drugs. See also my article, Can Red Wine Stop Aging? 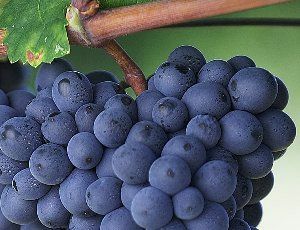 to learn more about Resveratrol. A new study shows that Curcumin, a popular Asian spice from the turmeric root, might protect women from breast cancer who are taking estrogen and progestin (synthetic progesterone) used as hormone replacement therapy following menopause. Previous studies found that postmenopausal women who have taken a combined estrogen and progestin hormone replacement therapy have increased their risk of developing progestin-accelerated breast tumors. 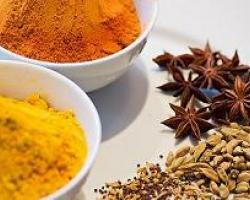 Now, University of Missouri researchers have found that curcumin, a popular Indian spice derived from the turmeric root, could reduce the cancer risk for women after exposure to hormone replacement therapy. Can Red Wine Stop Aging? I’m sure you’ve heard the good things about wine and its health promoting benefits. Maybe you’ve also felt the negative effects a time or two as well? Researchers found the answer to this question when they discovered Resveratrol, an antioxidant, anti-inflammatory substance found in red wine grapes. But how can drinking wine actually improve anyone’s health, when it is a well-established fact that alcohol inhibits the body’s absorption of all vitamins and can, when consumed regularly, lead to liver damage, dementia and a host of other nasty disorders? Further studies of Resveratrol revealed that it helps prevent blood clots by keeping blood vessels open and pliable. Now you can gain all the benefits without the negative aspects. Resveratrol, is one of the powerful ingredients in our new Miracle of Life formula. You might say it’s a red wine healthy alternative. I originally received this article from Heronswood Gardens, a fabulous nursery and plant farm in Warminster, PA and thought it was so good and captures so much of what I believe in, that I just had to share it with you all. For unusually great plants, shipped anywhere, visit their website. Reprinted with permission from the author, George Ball. “My thoughts grow in the garden. Every time I garden, it is as if I have been transplanted to a different psychic realm. Here my thoughts take a cosmic turn. Big Questions seem to flourish among the tomatoes, zucchini and corn. The static of the day’s practical concerns is replaced by tangible forms of Life, Freedom, Eternity, Faith. Standing in the garden the other day, pondering the effects of the insistent spring rains on the vegetables and flowers, I drifted from the damp earth to the vastnesses of space and time. I had read about the Hubbell telescope and the new cosmic realms that it was uncovering. I found myself pondering how, as science progresses, time and space grow ever larger, while our world and tenure of existence are ever shrinking. The study found that people who ate high amounts of saturated fats had 36 percent higher rates of pancreatic cancer than did those who ate low amounts. “These findings are in line with the dietary guidelines for Americans to reduce the amount of fat they eat,” she said. “Reducing fat may reduce the risk of pancreatic cancer.